New Delhi, 21 June 2017: As 4.9 million central government employees are awaiting the Cabinet decision on higher allowances and HRA as per the 7th Pay Commission, there is good news for non-official staff working in the central public sector enterprises (CPSEs). A report in OneIndia News, out of the 244 operating CPSEs, employees in nearly 100 are staring a huge pay hike. This is mainly because only 100 of these CPSEs meet the affordability criteria which was suggested by the 3rd Pay Revision Committee. The 244 operating CPSEs has a staff strength of 12.3 lakh workers. The same pay revision given to central government employees would follow to the CPSE workers as well. Out of the 12.3 lakh workers, 3.8 are eligible for the pay hike. This would mean an additional cost of 7,000 crore in the year 2017-18. The pay hike for the CPSE workers would cost the units Rs 7,000 crore. However it has been decided that the revised salaries will take retrospective effect from January 2017 onwards only. The PRC had suggested a pay hike of 15 per cent on sum of basic pay, stagnation increments and industrial dearness allowance subject to the ability of the firms concerned to bear the consequent financial burden. The hike can be implemented in full if the additional financial impact due to salary revision for officers is not more than their average profit before tax of the last 3 years. The PRC has recommended a minimum pay of Rs 30,000/month, from Rs 12,600/month now, for executives and a maximum of Rs 3.7 lakh for CMDs, from Rs 1.25 lakh, for Schedule A CPSEs. This would depend on profits. The CPSEs are categorised into different schedules, with highest being Schedule A, followed by B, C and D.
However many CPSEs are unlikely to get a generous hike on the lines central government employees got as per the recommendation of the 7th Pay Commission. CPSEs such as BSNL (2.11 lakh), Steel Authority of India (88,600) and Air India (12,800) won't be able to give a pay hike to their staff. Other loss-making CPSEs, include Bharat Heavy Electricals(42,000). 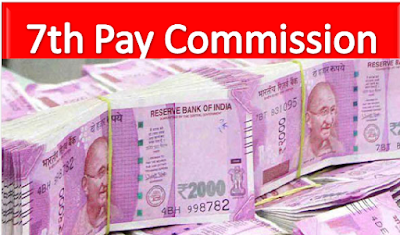 7th Pay Commission: Massive pay hike for PSUs, BSNL, Air India could lose out, Huge pay hike The 244 operating CPSEs has a staff strength of 12.3 lakh workers. The same pay revision given to central government employees would follow to the CPSE workers as well. Out of the 12.3 lakh workers, 3.8 are eligible for the pay hike. This would mean an additional cost of 7,000 crore in the year 2017-18.